Awarded to Connexionz in a competitive international procurement process, the contract commenced roll out in February and will be completed next month, with ongoing service and support until 2022. Connexionz specialises in the development and delivery of Real Time Passenger Information (RTPI) and Intelligent Transport Systems (ITS) solutions for managing transport networks – including bus, rail and ferry services, as well as developing solutions for transit infrastructure, including terminal and garage management systems. Hornblower will manage a total of six routes over 60 nautical miles of waterways, connecting New Yorkers and visitors to the City’s waterfront communities – including neighbourhoods, job centres, and parks. Scheduled to commence on May 1st, 2017, the new NYC Ferry operated by Hornblower will offer an efficient and affordable way for people to travel between waterfront communities throughout New York City. Amongst its customers, Connexionz technology also manages the city bus network and Blackcat ferries in Christchurch, New Zealand, as well as bus and rail services throughout the US. 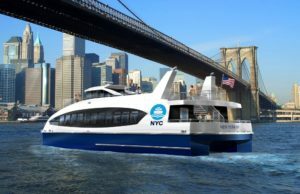 Connexionz will install and manage new highly accurate laser-based passenger counting systems, a range of on-board real time service displays, and passenger “infotainment” services for New York’s new Ferry System. Behind the scenes, Connexionz software will integrate with the vessel engines to manage and monitor engine parameters, such as fuel flow, maintenance schedules and hours of service. In addition, smart data reporting will help Hornblower with fleet maintenance and tracking and service analysis, including on-time performance. Connexion has been developing smart transport solutions since the early 1990s and its expertise is “second to none” in transit technologies, communications systems (fixed and wireless), systems integration, consultancy services and transit terminal and exchange technology design, CEO Rhod Pickavance claims. The solution is based on Connexionz’ TransitManager ITS suite and involves considerable integration with customer specific applications and services. 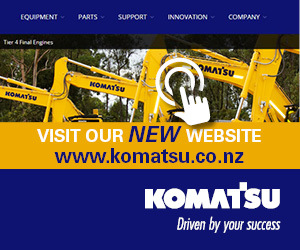 To manage this project, Connexionz has expanded its software development team at its headquarters in Christchurch, New Zealand.